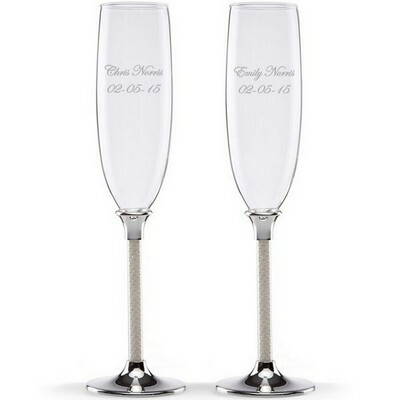 No wedding is complete without champagne toasting flutes for the bride and groom. 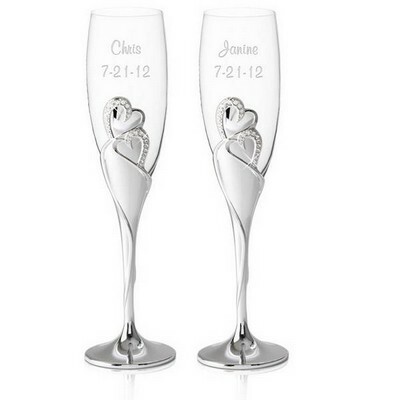 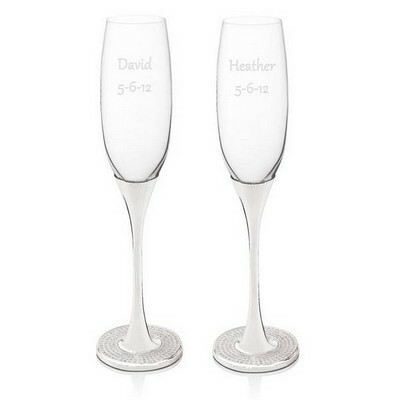 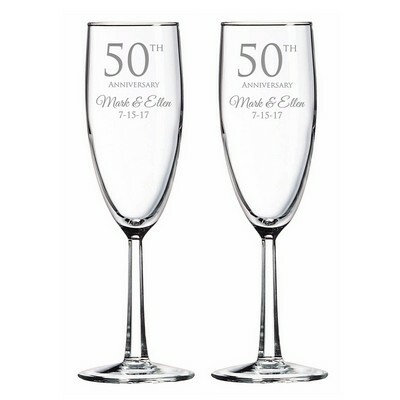 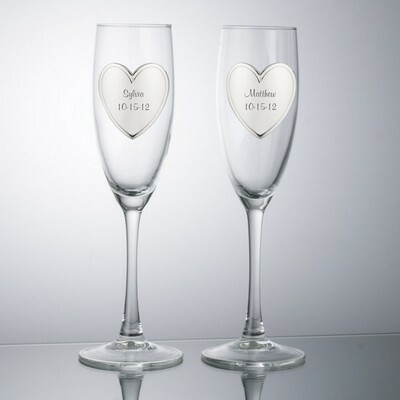 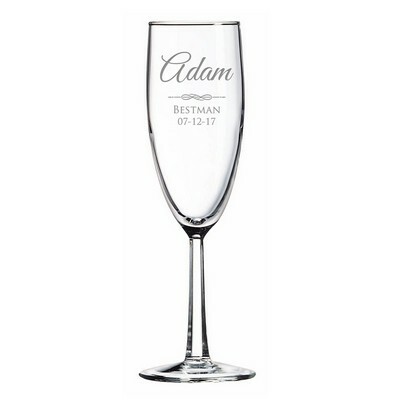 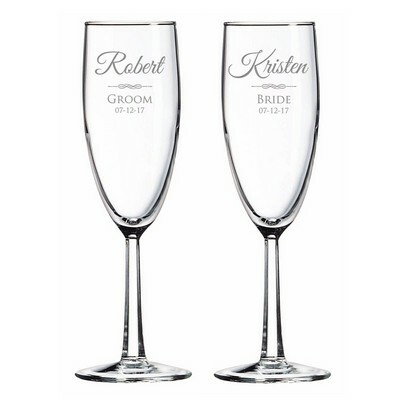 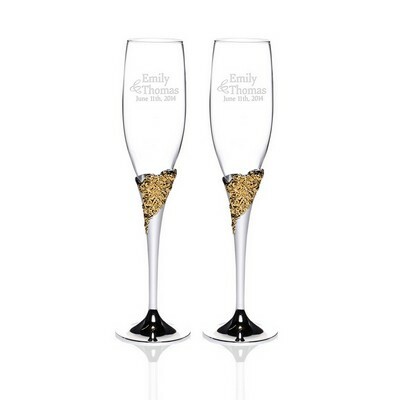 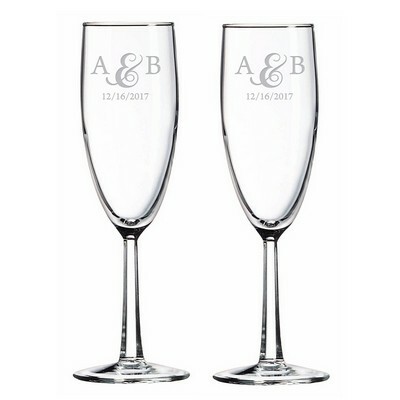 Step to the occasion and gift a soon-to-be-married couple personalized wedding flutes. Customized with their names and wedding date, these wedding toasting glasses will be an absolutely priceless keepsake for years to come. 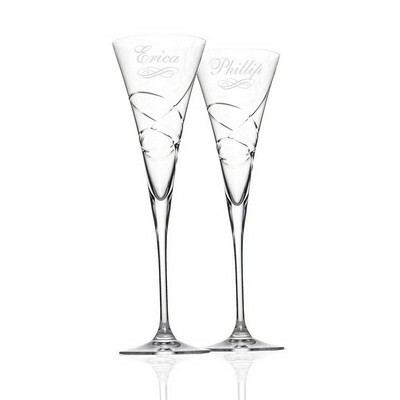 We carry fine personalized toasting flutes, with a selection of crystal and jubilee pearl to allow the wedding day to be celebrated in luxury and glamour. 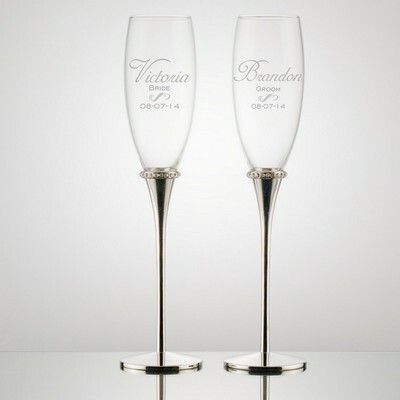 Cheers to the bride and groom!